Petrophysics Summer School application period has closed. 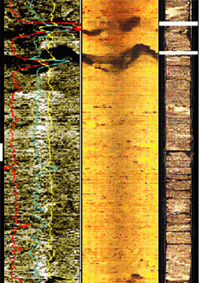 Petrophysics is the study of the physical (and chemical) properties of rocks and their interactions with fluids, and integrates downhole in situ data from logs with core and seismic data. This has significant applications in the hydrocarbon industry in terms of both exploration for, and production of, oil and gas. It is also an important component of the International Ocean Discovery Program (IODP) in helping to answer the many and varied questions posed by ocean research drilling expeditions around the world. This third Petrophysics Summer School will provide a unique workshop that will bring together experts from both academia and industry to give training in the theory and practice of petrophysics and, notably its applications across both IODP and industry. There are few opportunities for training, especially for non-industry researchers, and with recent reports indicating significant skills shortages in the hydrocarbon sector, the workshop could attract a variety of participants including those who might not normally engage with the IODP community. In addition, the summer school will strengthen links between IODP and industry, increase the visibility of IODP, provide essential training to the next generation of petrophysicists and, importantly, enable future expedition participants to best utilize these data in their investigations of the ocean floor. For more detailed information, visit the official webpage for the Petrophysics Summer School 2018. The Petrophysics Summer School will focus on the application of downhole logging and core physical properties data to scientific questions, including real world case studies. It will include lectures, discussion groups, and practical exercises on the different elements and data types used in petrophysical analysis. In addition, basic training in industry-standard software package, Schlumberger’s Techlog, will form a core part of the school. The 3rd Petrophysics Summer School will take place from Saturday, June 30 through Friday, July 6, 2018. It will be hosted in 2018 in the Department of Geology at the University of Leicester, UK. The European Petrophysics Consortium and its collaborators offer this unique training opportunity for a summer school through the provision of technical and scientific expertise in the fields of downhole logging and core petrophysics. The majority of the workshop will take place on the main campus of the University of Leicester. There will also be a local, off-site component. An icebreaker event will be held on the evening of June 30, marking the start of the school. Towards the end of the first full day there will be a mini-conference during which participants will have the opportunity to present their work in short presentations and a poster session. This will be followed by the workshop dinner. The course is open to applicants from the international community, but applications from early-career researchers (including PhD students) are particularly encouraged. For more information and to apply for the 3rd Petrophysics Summer School, please visit the official webpage for the Petrophysics Summer School 2018. 2. Click on “View Programs” (blue button); select the US Travel Support program; then click “Create Submission”. Your application will be created. 3. Complete the online application and demographics form, then click “Submit Application”. Note: Applicants must be apply and be accepted to the summer school in order to receive travel support from USSSP.